Pat McGrath Labs is continuing its U.S. retail expansion with a first-of-its-kind partnership. On Feb. 1, the makeup brand will open a shop-in-shop at Bergdorf Goodman. Spanning nearly 400 square feet, the shop will be on Bergdorf's main floor, making Pat McGrath Labs the first beauty brand to have such a presence at the retailer. "To be going into Bergdorf Goodman is insanely exciting," McGrath said via phone last week. "They are the quintessential retailer in New York and a global icon. It’s amazing to be able to share everything about Labs in a shop-in-shop." "Pat is to beauty what the best-of-class designers are to fashion," Linda Fargo, Bergdorf's senior vice president, women's fashion director and store presentation, said in a statement. "Pat and fashion are inextricable, the way Bergdorf's and fashion are. We wanted Pat to have the stage and context of a true fashion venue to reflect her talent and accomplishments and to make a piece of Pat available to our clients. As a working artist in the fashion world, creating iconic, larger-than-life beauty looks across magazine covers and international runways, her collaborations with major designers at the highest level were something that appealed to us." News of the partnership comes as retailers are rethinking their beauty strategies. Last year, Saks unveiled a newly renovated beauty floor on the second level of its Fifth Avenue flagship. The space broke from tradition, as beauty has historically been located on the first floor of department stores. In December, Bloomingdale's revealed its revamped cosmetics floor. The space boasts more than 36,000 square feet, with an additional 1,100 square feet of beauty outposts located across multiple floors of the store. The Pat McGrath Labs shop-in-shop at Bergdorf Goodman will carry the entire Pat McGrath Labs cosmetics collection, including the new FetishEyes Mascara, the Skin Fetish range and the MatteTrance lipsticks, as well as limited-edition exclusives. "Something is coming soon, as we always say," McGrath said of the exclusives. "There will be some really incredible, fun items." She will fete the pop-up's opening with a personal appearance at Bergdorf's on Feb. 9 from 5 to 7 p.m. According to Fargo, the space's design is inspired by a Japanese pachinko parlor and incorporates artwork from fans of the brand, including Instagram followers, into the pop-up, packaging and windows. Pat McGrath Labs will be displayed in Bergdorf's Fifth Avenue windows along with fashion from the spring 2019 shows. The windows will exude a "personal but raucous and celebratory vibe," said Fargo, and will include McGrath-approved references to Ziggy Stardust, Seventies space travel, neon and LED art, liquid gold, Blitz Kids and nightclubs. 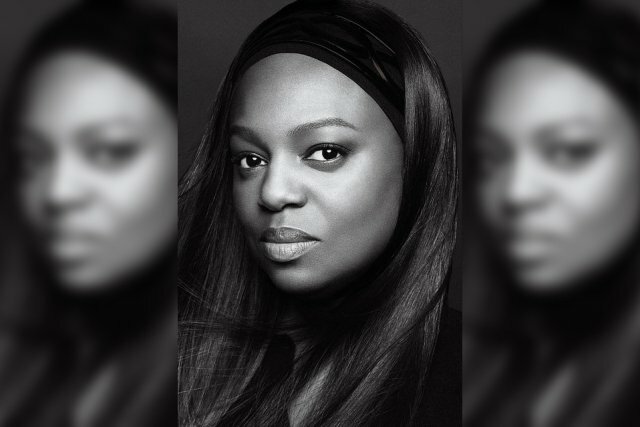 Pat McGrath Labs has become known as a brand of firsts, the Bergdorf partnership being the latest example. Last year, the makeup brand teamed with The Metropolitan Museum of Art on an exclusive range of color cosmetics and apparel, making it the first beauty brand sold at the museum. Pat McGrath Labs x The Met unveiled a second joint collection later that year.